Trippin with StanleyA journey to find new places and new ideas. As I type this I sit on a beautiful outside patio on S Congress at a coffee bar called Jo’s. I am surrounded by Mac Book Pros and I can almost see all the tweets swarming around my head. I am sure this is a common occurrence in Austin, but the sight is even more so now, as we are here the week of SXSW. South By Southwest, or “South By” as the attendees call it, is a three pronged festival for Music, Film and Interactive geeks. Hipsters from all over the world migrate south this time of year to attend top notch keynote speaker sessions, rock their socks off to the next new indie band you probably won’t ever hear on the radio, and be the first to debut new independent films. The city has over 40,000 visitors this time of year and everyone’s buzzing around with their heads buried in their iPhone or iPad, tweeting to find the next meetup. 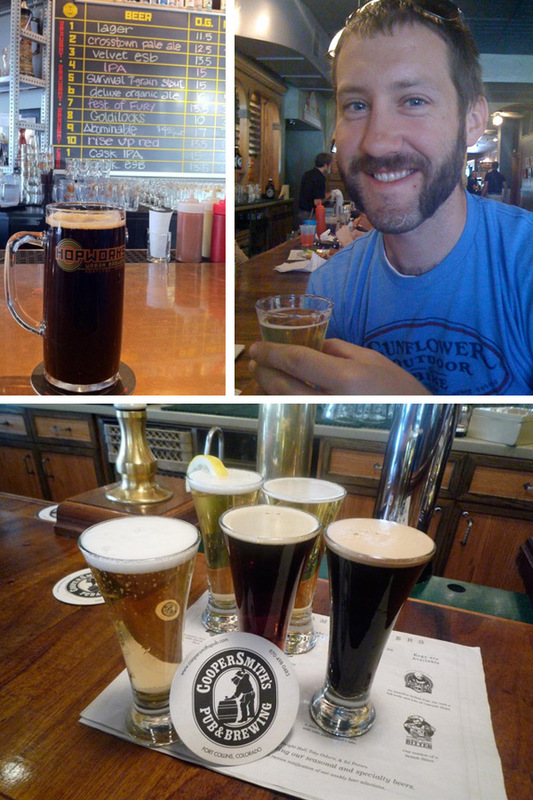 We have absolutely enjoyed our time in Austin and are enjoying some really great beers. There are so many breweries in the area we’ve mainly frequented The Ginger Man which has over 80 beers on draft and 2 on cask. 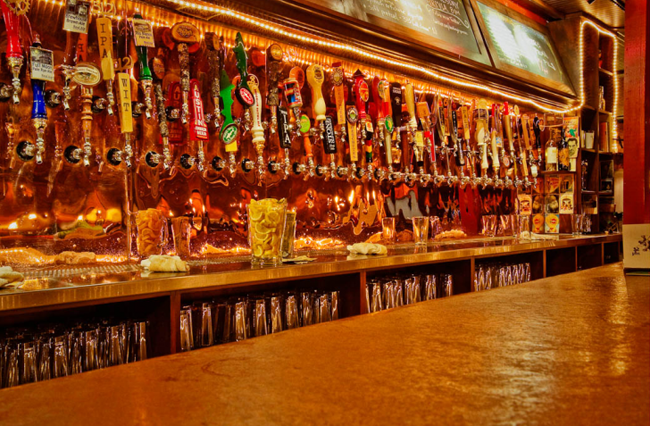 From there we have sampled the 512 and Independence local breweries as well as a couple different Real Ales and many different types of Shiner (close in the area). We also made it over to LoveJoys based on a friend’s recommendation, they had great beer! Beer here is very good and the conversations have been fantastic. We’ve had the privilege to meet up with a couple of our KU buddies, Taylor, Courtney and Jonny, as well as other NuRVers and travelers, most notably @ZenNomads @Technomadia and @Technosyncratic and @OverYonderLust. If you are interested in RVing or traveling definitely check out these blogs, great resources for newbie and even the experts. While in Austin I’ve learned a few facts that I think are incredible. There are over 1400 food licenses for the city of Austin, 900 of which are mobile food trucks. They are everywhere! And the cool thing is they setup say 4-6 in an area and surround them with picnic tables, you can get a cheap, delicious meal and enjoy it outside. Torchy’s Tacos seem to be among the locals favorite, we sampled some our self and can not disagree! The other cool fact: There are over 750 tattoo parlors in this city! That is 7.5 shops for every 1,000 people! The Texans sure like their tats I guess. I’ve seen more sleeves here than I did in Cali. It almost makes me feel obligated to get one, but Brian is next! He just needs to figure out what the hell he wants to get. The idea to “unattend” sxsw was a great one. I recommend it for anyone close to the industry or anyone who just likes to be in the middle of a lot of action. The conference passes are around $800, so not cheap, unless you can get your company to fork out the change. Unattending has all the great perks of networking, there are plenty of free events that don’t require badges, and more importantly free food trucks sponsored by the big guys handing out treats. This week I had a brown butter and candied bacon ice cream sandwich on chocolate chip cookies from Cool Haus with thanks to Mozilla, and it was delectable! Revelations, a new step in the right direction? I had a bit of a revelation this week after enjoying some fantastic beers and even better company. 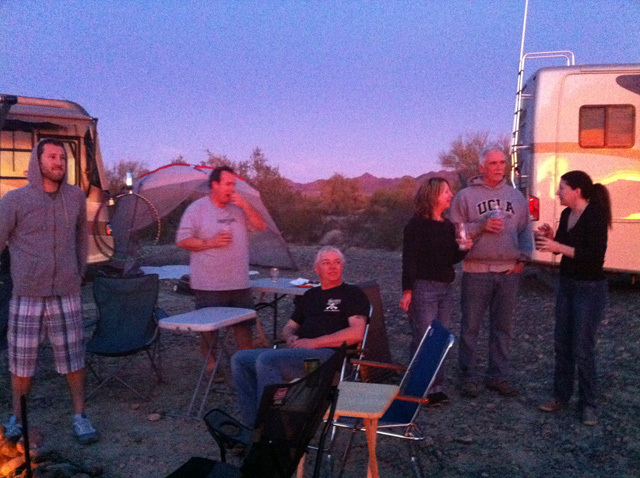 You might have read our last post about Quartzsite, but in case you missed it, I will catch you up. 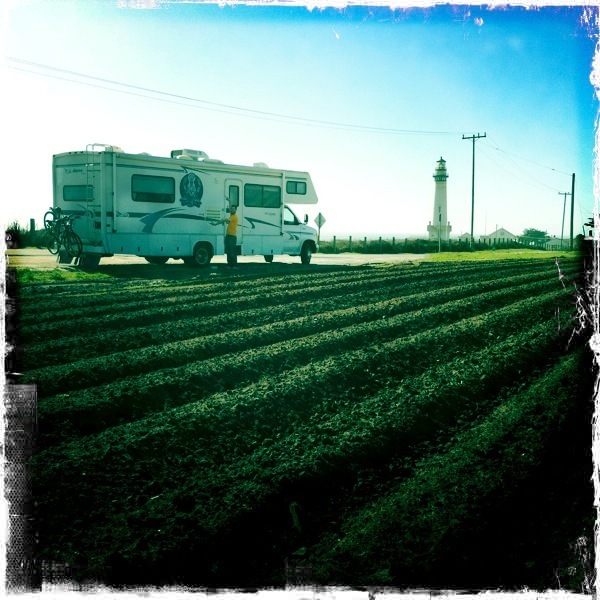 We’ve recently met fellow full-time RVers working from the road and living the dream. Each has their own stories and versions of how they started and why, but really under it all, it is all for the same reason, freedom. Freedom from the “norm”, escaping what you are supposed to be doing and living life the way you want. Once you can accept the realization that you don’t have to work a 9-5 to be successful and you have the right skill set and discipline to make a means, a whole new world opens up to you, a whole new way of life. This lifestyle is not for everyone, but it sure is perfect for me. So back to our new pals. Each have their own “thing”. 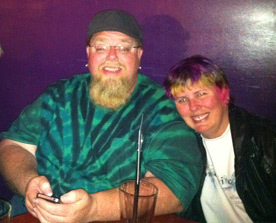 Bill and Debby are the Tahoe Hashers, Jim and Rene are the Tripawd loving owners, Sam and Tracey are the colorful (now all tatted up) Florida burners and Alex and Charon are the fire-breathing, sword-swallowing, super talented, and extremely entertaining duo (not to mention, Charon is the official NuRVer traveling tattoo artist). I am now proud to say, Brian and I have achieved the title of the craft beer loving duo. We are happy to field the question, “so you are the ones traveling around visiting breweries”. It supplies great conversation and sub sequential education into the fine art of making and enjoying beer. And I am even more proud to say that I have enjoyed some mighty good beers with each of them, sharing our love of the craft, and even converting a non-beer-liker to a “yeah, I kinda do like that one! !” 🙂 The ultimate success for craft beer and the whole reason for variety. You might not like a bitter, hoppy beer, but the malty dark ones sure do surprise you. When I was about 10 years old my mom went into rehab, and I was along for the ride. I spent many nights with her at AA and CA meetings hearing stories of how drugs and alcohol ruined these people’s lives. I witnessed first hand how alcohol would change my mom from a bubbly, outgoing, energetic spirit, to an ugly, rude and depressed soul. I learned at a young age, alcohol is bad and it will mess up your life. Now that I know better and know my limits, obviously my views have changed, but I still struggle with admitting that I have a passion for beer, fearful for what it could do to my life. Unfortunately, my mom isn’t around anymore to help shed light on how her addiction spun out of control in order for me to avoid a similar fate, but I think knowing what a true addict is I am confident that I can control that part of my gene pool probably just itching to break out. You should also check out our new friends blogs if you are interested in learning more about this lifestyle. They have great insight and educational posts that help push me to want to work harder at it. 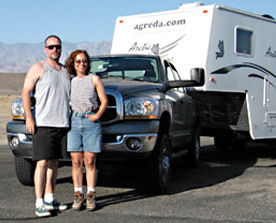 Jim and Rene – LiveWorkDream.com – Seasoned vets, full-time RVing for over 4 years now, they know the drill and have an excellent account of their travels on the blog. 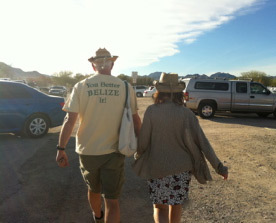 Bill and Debbie – kassonswildride.blogspot.com Excellent post on our time in Quartzsite. Food, friends, cocktails and campfires = good times. Sam and Tracy – ZenNomads.com – I jabbed them a bit and asked for a new blog post as they haven’t posted for over 6 months, but I had to include them on the list. Alex and Charon – far left and far right 🙂http://www.oddangel.com/ – Make sure to check out all their links down the right side of the blog. You can find their podcasts and links to their other websites. If you are looking for a tattoo artist, Charon is excellent at the art! 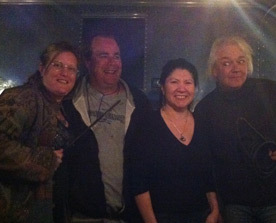 Kevin and Angie – Last and certainly not least (pictured in the middle) NuRvers.com – I’ve mentioned it before, but if you are interested in this lifestyle, this is a great resource to ask all sorts of questions and learn from past experiences of our fellow fulltimers. If it wasn’t for this site I wouldn’t have had the pleasure to meet all these great people to share excellent experiences with. These will now be in our links list on the right, along with a few other good ones we’ve found in case you need a reminder. According to their post, a previous beer map was published by Houston Press which had a lot of pushback listing Budweiser, Keystone Light and Pabst Blue Ribbon (a personal fav) as some states top beers. The original map was based on “out-of-state reach and recognition” with little or no recognition to quality of beer and our beloved micro-breweries. Not to mention it was an ugly eyesore of a graphic. 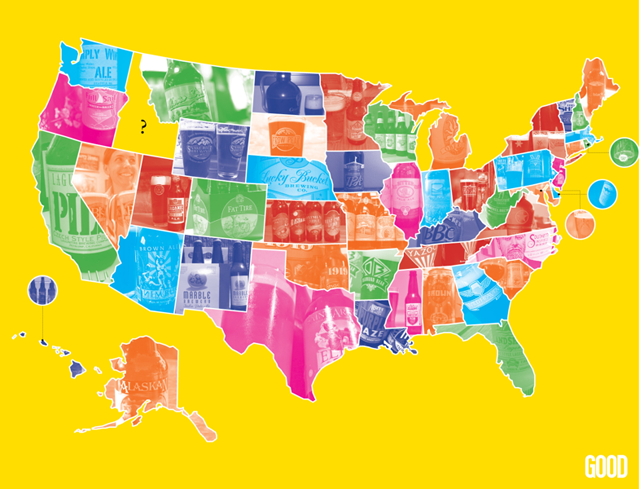 Luckily GOOD set it all straight by asking their readers “What is the most awesome, best tasting, sustainably brewed, independently owned, community-oriented craft beer brewed in your state?” And the above infographic ensued. We’ve had the pleasure to sample many of the winning breweries listed, for those of you keeping track, one of our personal fav’s Full Sail Brewery in Oregon, and a new favorite we just sampled over the weekend, Nimbus Brewery, in Tucson, AZ. We have yet to visit the Lucky Bucket Brewery, but since I am an Omaha native, I have had their beer many times before and I absolutely love it, so I was glad to see they won for NE. I feel bad for Idaho, as somehow they weren’t represented, but Grand Teton Brewery, in Victor, ID definitely should be on that map. Their BitchCreek and Teton Ale (and massive popcorn bar) are quite a delight! We don’t have a lot of experience with the East Coast breweries (yet) but overall I am very impressed with the winners from each state. Also HUGE props to FreeState Brewery, our local hometown brewery, taking it down for Kansas. I’m so proud!! See the full-size version of the graphic here. I finally got our 2010 Brewery Tour video posted to Facebook today. Here it is for all our Trippin followers. Stanley sure has been good to us… now onto the next beer!! 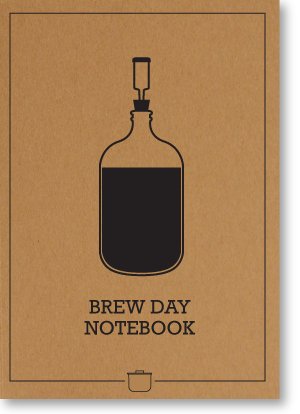 Our first product of 2011 is the Brew Day Notebook. During the course of our ongoing research in to the home brew industry we noticed a need for tracking and documenting the details of all your brewing sessions. We did a deep dive into the brewing process so we could identify the key data points in a brew session. Along with studying the brew journals of seasoned home brewers we were able to design a notation tmeplate that can be quikcly filled out as you brew. By keeping detailed notes of your brew process you can recreate and perfect recipes as well as pinpoint problems in bad batches. 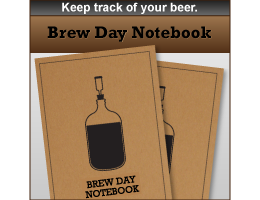 Introducing the notebook for home brewers. Hello everyone! Thanks for checking back on the blog. Lots has happened since our last post, but I guess that is what happens when you don’t post all the time!! After San Francisco we headed down the CA coast through Santa Cruz, Monterey down through Big Sur. What a drive!! Everything from the Redwoods to the winding road on steep cliffs. 17 Mile drive was definitely worth the $10 toll. It winds its way through Monterey and Caramel. 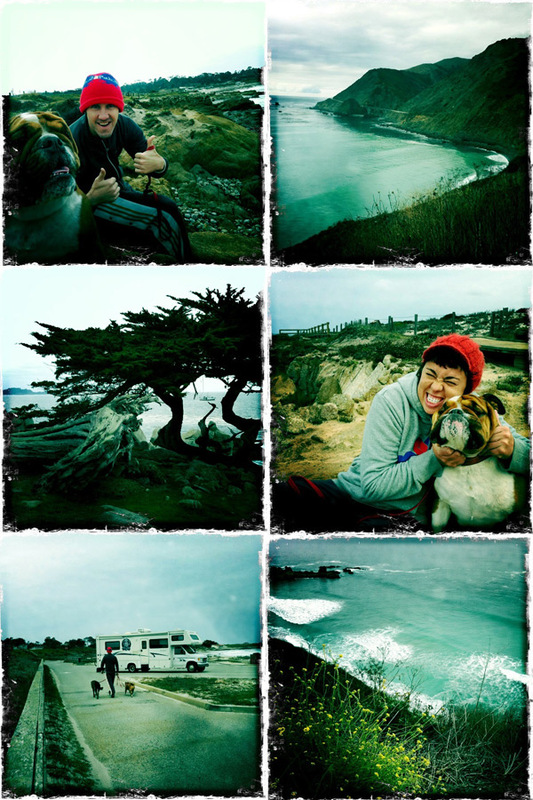 We saw Pebble Beach and many more just as incredible golf courses and even got to take the dogs on a walk on the beach. We watched 12 or so surfers cutting it up on a somewhat chilly breezy day. A “storm” was supposed to be moving in that weekend, so we made our way down the coast in 1 day to avoid driving in the rain. From there we basically cut across CA to get to Las Vegas. We arrived 5 days earlier than we really needed to but casino parking is free and Brian and I wanted to get some poker time in before our fun filled Jayhawk weekend. Brian is going to post more about that and I am sure he will be sure to mention my 2 seconds of fame with 1:32 left in the KU Arizona game. 1 Month in I did a reflective post of our time on the road so I thought it would only be right to do another 4 months in. Not much has changed in the way of our opinion of this trip, which is still “Best Idea Ever”. Other than sleeping in too much I am very happy with all our decisions on this trip. Sure there are many, many places I wanted to see but missed, and certain decisions I’ve made on where we should drive and when that could have been better, but you learn and I just tell myself, we will hit it the next time around. It’s nice to know that I have a whole life ahead of me where I will continue to travel and explore and see all of this planet’s amazing sights. So 4 months in what more have we learned? 1. I might have mentioned it before but we use Mint.com now to track all our expenses. It is super helpful to create budgets and categorize your spending such as Gas, RV Parks, Groceries, Restaurants and of course, Breweries. We started using it in Oct and now have 2 months to look back and realize we spend A LOT on food. 2. Continuing along the lines of Mint.com we have been spending a lot more time boondocking (parking while we aren’t hooked up) versus paying to park at a RV Park. Typically, we will expect to pay anywhere from $30-$40 to pay to park which will allow us to plug in for electricity, dump the black tank, fill up our water tank and get cable TV. It always seems more convenient to be hooked up in a park when we are trying to work from the road. If we aren’t plugged in we can use the lights off battery power and use our 2 outlet inverter to charge all our electronics. I think we stayed in RV parks probably 20/30 days the first month, I think last month we stayed 6 or 7 days. That is a big cost difference. 3. I don’t understand how California is struggling so much economically when everything is SO taxed!! The most expensive we paid for gas was $3.69, we would be lucky to find it around $3.26. Now that we are in AZ its $2.56 right around the corner. 4. People are still asking us, what’s next and I am happy to say I still don’t know! I think uncertainty scares a lot of people but not me. I can tell you for certain that we want to continue this trek for at least 1 more year. Circle back to spend time with family and friends in Kansas and Nebraska once it gets warm again and then go back through Colorado, over to Oregon and back to Cali sometime next October. But in order to continue that long we will have to start making more money from the road. We need at least $3000/month to live comfortably, but could definitely do it cheaper if we had to (which i think we might). 5. Now that we are familiar with our new lifestyle we have been able to spend more time focusing on our own projects. This includes researching the home brew process and working on our new t-shirt store which will hopefully be launching this week. Brian is working on a custom-made sweater company and continues to contract for Popstar. 6. Brian, what have you learned? : “Um, home is where your heart is”. haha! I love catching him off guard. A simple man says so much without many words. 7. My favorite places so far have been: visiting my cousins in Denver and Nevada City, Hood River, OR, Fort Collins, CO, Portland OR, and Pacific City, OR. 8. Places we missed so far that we are hitting next time around: Whistler, Canada, Glacier National Park, and Crater Lake, OR. 10. Ernie says: “(cue whining sound)” and Buddha says: “if I focus on “walking” at a dog park I generally don’t need to bully other dogs around and get in fights”. Buddha still hasn’t learned to NOT drink the salt water even after puking each time he does it. Thanks for following once again. I am starting to upload videos now to YouTube so subscribe to my channel here. We are spending the next few days in Lake Havasu and plan to head towards San Diego for the weekend, hopefully catching the Chiefs Chargers game on Sunday, to tailgate with a few friends. Hope you all are keeping warm. Stay in touch we love to read comments from our friends! 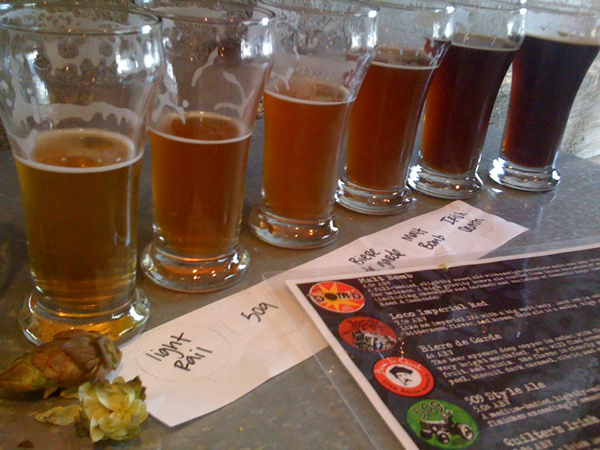 As we were driving yesterday it occurred to me that we are constantly posting about all our tastings but we’ve rarely gone into what we’ve learned about beer tastings and what makes up different types of brews. Well, interested or not, this post is going to delve into it. 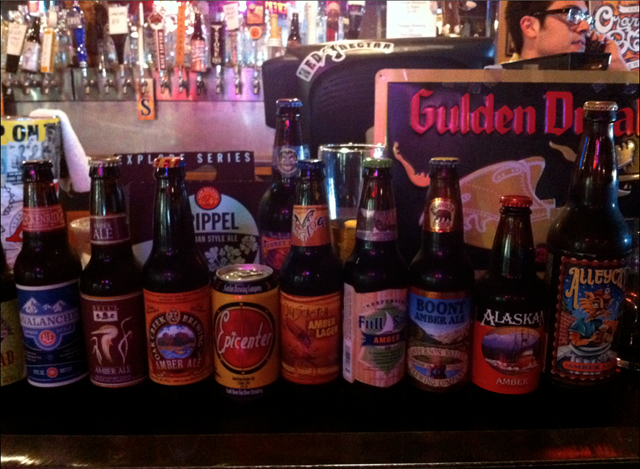 People always ask us, “what is your favorite kind of beer?” And our answer usually is “the better question would be: which ones aren’t!”. It’s not to say that we like all beers but there are certain things we have learned to look for in a brew and even if we aren’t the biggest hop fans we can typically appreciate what say, an IPA, is trying to do. Jeanette on Craft Beer and Dog Parks – What’s yours? msdesign21 on Craft Beer and Dog Parks – What’s yours? 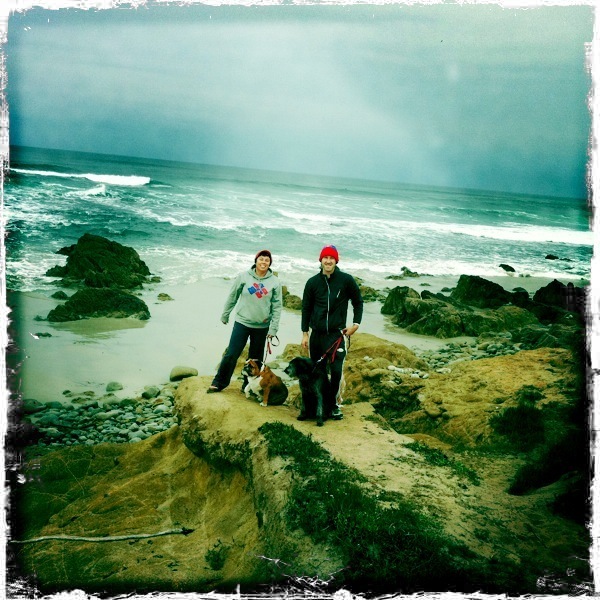 Rene & Jim on Craft Beer and Dog Parks – What’s yours?